Smiths Executive MBA uses an innovative approach to team-based learning that is far more advanced than that used in other executive MBA programs. We believe strongly in our team-based approach because it mirrors today’s progressive workplace. You will leave the program with a thorough understanding of the best practices for successful team building and teamwork – well-prepared to be a valuable member of a high-performance team. In the Smith Executive MBA program, you are assigned to a team for the duration of the program, and a significant portion of your overall grade is derived from teamwork. Team members collaborate on assignments, projects and presentations, drawing on the skills and experience of individual team members, greatly enhancing the learning experience. A dedicated, professional Team Coach is assigned to every team. Throughout the program core, they will monitor your team’s effectiveness and provide regular feedback and guidance that is pivotal to the learning process. A great deal of time during the first week of the program is devoted to setting the tone for your Learning Team. You and your teammates will be led through a series of exercises designed to: get acquainted; gain insight into each member’s preferred thinking style; formulate a team mission statement and group norms; and successfully conduct your first team meeting. You will be provided with proven processes and best practices for overcoming any obstacles that may arise during the year. One of the greatest benefits of our team-based approach is the opportunity to develop your team and leadership skills – skills that are essential in business today. And at Smith you don’t just learn about teamwork and leadership, you put them into practice every day. Each team member is given many opportunities to lead projects as well as contribute to those led by other team members. 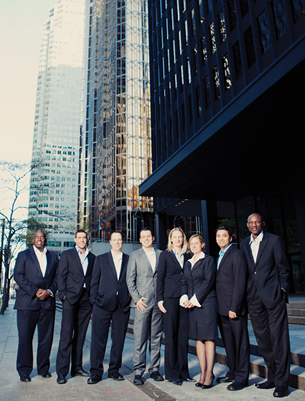 "The Smith EMBA program is a superior education experience. Its reputation, professionalism and faculty are absolutely first rate. The team-based approach was a good reflection of a real work environment and allowed me to strengthen my team leadership skills."